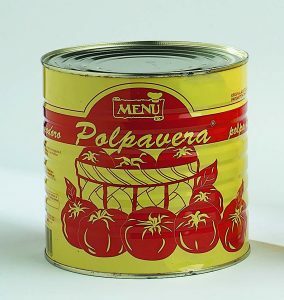 Ready-to-use tomato pulp, packaged with a special aseptic sterilization treatment in a bag made with an aluminium and polyethylene composite film. 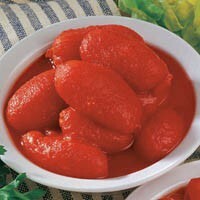 Peeled tomatoes ideal for all types of cooking. 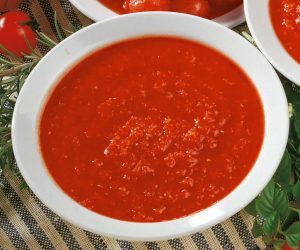 Obtained from fresh in-season puréed tomatoes.